Though it is very easy and convenient to have a Wi-Fi connection and mobile data nowadays, there are times when you desperately need an internet connection, especially when you are in regions where the signal seems to be low or nil; but Alas! There seems to be no light at the end of the tunnel. Sometimes, it might be due to security reasons that you might wish to turn off the internet. There is every possibility that there will not be a functional Wi-Fi or mobile data available, especially when you are on a holiday or a vacation. This situation becomes even worse when you are in a land of unknown language or other minutiae. To solve these issues, Android offers you plenty of apps that can be accessed even when you are offline. We offer you the 5 best Android apps that can be very useful and function just as right when you are in the offline mode too. The most recent update of the Google Maps version has made it better than ever to use it in an offline mode, compared to the older version which was a little coarse. All you have to do is download the “Offline areas” tab in the Settings menu. By using this tab, you can now download full maps of cities, including the amazing navigation system from Google. The even better part of this app is that all downloads in ‘offline’ mode will be automatically deleted after 30 days. That saves so much storage space. TripAdvisor is the king of all the travel apps. With an ardent fan community, this app allows you to post feedback, photos and reviews about a particular hotel or facility for fellow travelers. It ranks the activities and attractions based on the feedbacks and user ratings. 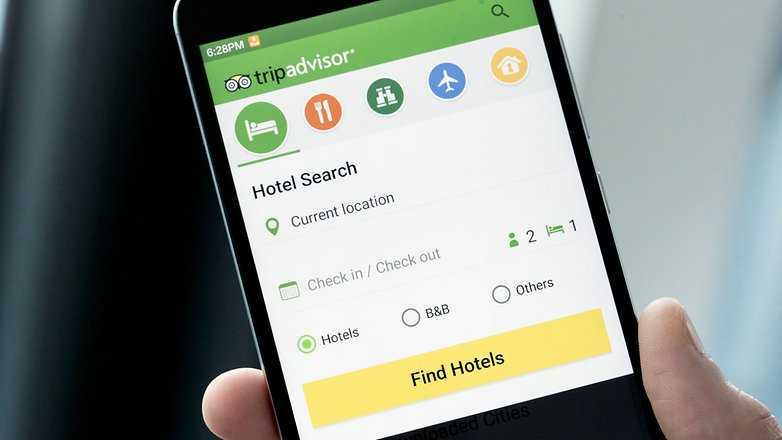 Though TripAdvisor had an option for City Guides that can be downloaded separately, now it has grouped it all into one single app. It now offers offline accessibility to photos, maps and reviews of almost 300 cities. Another plus point of this app is that it also offers flight timings on TripAdvisor Hotels Flights. Although there is no such thing as a real weather app that is functional offline, still there will be times when you will need to access the weather reports when there is a dearth of internet availability. The finest part of using the AccuWeather app is that it provides you with a near accurate forecast of the weather for the next 15 days. You will have to use the app online once to check the weather of the desired city you might want to holiday in and then it will provide the list of weather conditions for the next fortnight. So now you will have an indication of how to be prepared for the climate, even without internet for 2 weeks. Need a translator when you are in a foreign country? Here comes one of the most effective and easy to use language translators from Google, the Google Translate. It can translate words and sentences into almost 90 languages. All you have to do is type or even better just speak into Google Translate and it will translate it to the desired language for you. You have to download the languages between which you need the translations. These vital features are available in the offline mode. The best part is that you can also save your translations and refer back to them when needed. What is more relaxing than listening to your favorite music tracks when on a vacation or holiday to your favorite place! Spotify is one app that comes handily when you have to access music tracks in an offline mode, when there is no internet connection. The Spotify app offers you millions of music tracks. You can play not just these tracks, but can also sync the app in the background with your own playlists. This means that all your music tracks are available even when you are offline. If you want to save the internal storage space of your phone, then you can transfer all the music to a microSD card. Like the saying goes, “All good things come at a price”, the Spotify app also needs a monthly premium subscription of US$9.99. You could always save a few music albums to your mobile device and play it as and when you want by using Spotify which is one of the coolest services ever, without having to worry about an active internet connection.